Get a Free Service Call with Repair Today! Serving clients throughout Panama City, Lynn Haven, and Fort Walton Beach, Mr. Appliance® of Bay & Walton Counties knows how to tackle a comprehensive range of appliance problems. We are committed to providing top-notch customer service, exceptional results, and quality support throughout the entire process. 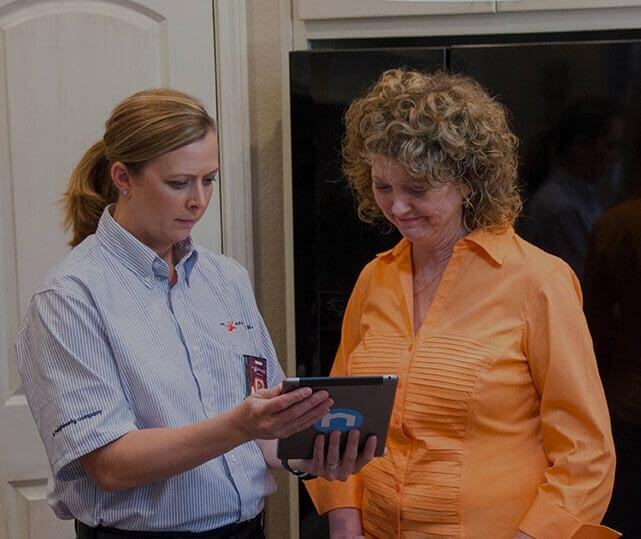 Our professionals are more than happy to help eliminate your appliance anxieties, offering fast, efficient service that will get your kitchen or laundry room back on track in no time. Whether you need regular maintenance to prevent breakdowns, upgrades, or part replacement, you can rest assured knowing our qualified technicians are on the job. We handle all types of kitchen and laundry room appliances, including refrigerators, dry vents, washing machines, dish washers, freezers, ice machines, and various other items. Time to schedule trustworthy service? Call us at (850) 344-1733. Free Service Call with Repair Book Your Repair Today! At Mr. Appliance of Bay & Walton Counties, we proudly service commercial and residential appliances. This means we can handle your basic refrigerator needs for your home or more serious walk-in freezer concerns for your business. With so much on the line, why trust any company other than the best? When it comes to providing the high level of service you deserve, we never take our responsibility lightly. We always go above and beyond to do the best possible job, striving to save our clients’ money and time. Let us take a look at your appliance today and provide a fast solution through repairs or service. Call 850.344.1733 to schedule your service!